Eating a sugar free diet seems to be very popular with a lot of people these days. I know that Sarah Wilson and her "I Quit Sugar" books and website has certainly been one of the driving forces behind the sugar free movement. Well, as for me, I must confess....I am not sugar free at all. In fact, sugar and I are in a committed long term relationship and I can't see us breaking up any time soon! Anyway, I have produced this sugar free banana bread with my dear CC Loving friend Constance in mind. 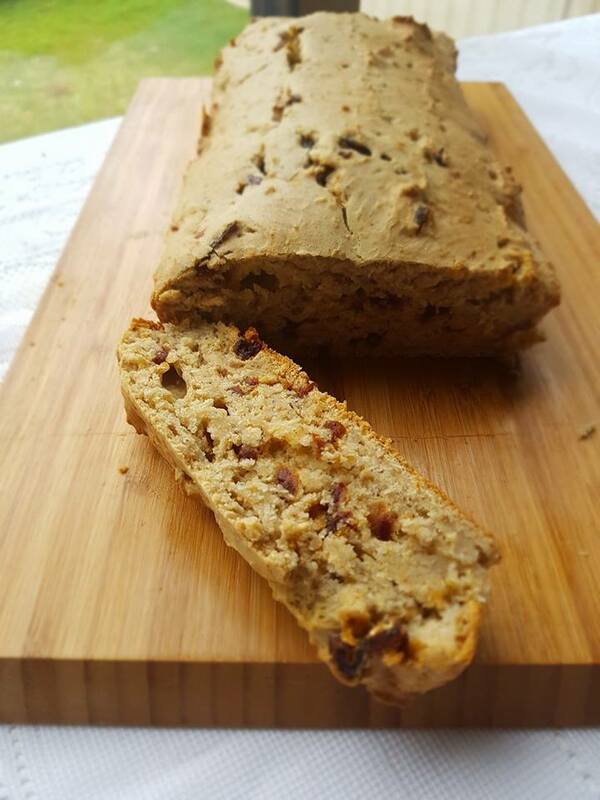 Constance is the Queen of Sugar Free Baking over in our Facebook group Loving the Tefal Cuisine Companion. I hope it gets the royal seal of approval. Oh and whilst I haven't yet tried it, I think this would work well made as muffins. This cake is sugar free but thanks to the bananas and dates it is sweet enough for all but the most desperate sugar lover. 2. Place the bananas in the bowl with the kneading blade. Pulse for 5 seconds or until bananas are mashed. 3. Add the rest of the ingredients, except the dates, in the order specified. 4. Select Speed 5 Time 30 seconds. Stop the machine after 15 seconds and scrape down the sides. Restart the machine. 5. Add finely chopped dates. Select Speed 5 for 20 seconds. 6. Place batter in the prepared tin and smooth over the top. 7. Bake in your preheated oven for 30-35 minutes (35-45 minutes for a smaller tin). Bread is done when a skewer inserted in the middle comes out clean. 8. Allow to cool in the tin for 5 minutes before turning out onto a cake rack to cool. NOTE- This is lovely served warm and spread with butter.